Hello folks! Sorry for leaving this blog unattended for a while. I’m Annie, the new Alumni Coordinator, and I thought I’d write a nice summary of the 2012 Football Season. At the start of the season we weren’t expecting anything out of the ordinary from our team, but after a 3-game winning streak in the Ivies and two fountain gigs, the Tigers were in the middle of the best season they’d seen in years. -Shirley Tilghman joining us in the stands at the Dartmouth game. Shirley visits the band in the stands! -Oh right, and a Bonfire for the first time since 2006! What an incredible season for Princeton Football, who ended up 4-3 in the Ivy League. 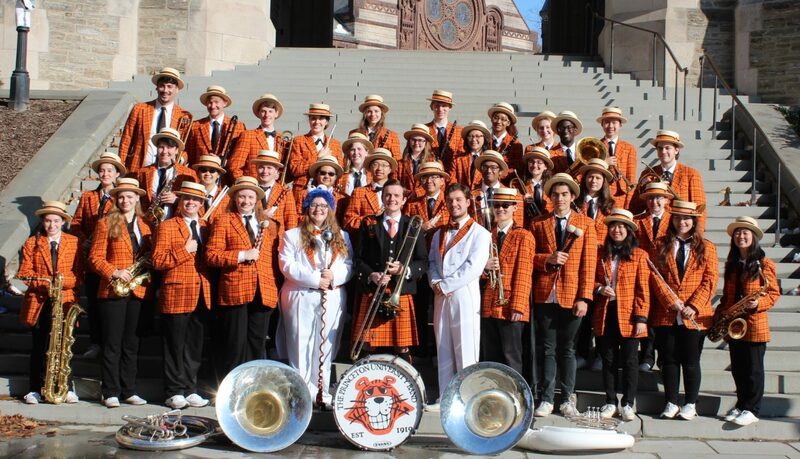 A great big thanks to all our wonderful officers from this past year for all their hard work in engineering yet another undefeated season for the one and only Princeton University Band!